Millions of people go their entire lives without having their wisdom teeth - the third set of molars that appear in the back of the mouth usually between the ages of 17 and 24 - removed. Others, however, find their wisdom teeth to be sources of pain, if not serious oral health problems. Some people’s wisdom teeth even grow horizontally, essentially drilling into the adjacent molars and causing structural damage, not to mention excruciating pain. In such cases, surgical removal of the wisdom teeth is the only solution. Whatever their reasons for wisdom teeth removal at our Melbourne, FL practice, oral surgeons Gerald W. Bird and Jay A. Johnson are only too pleased to relieve pain and restore dental health for patients by surgically removing their wisdom teeth. If you are experiencing pain or discomfort due to your wisdom teeth, we urge you to schedule a consultation with Dr. Bird or Dr. Johnson today. They are growing at the wrong angle: If your wisdom teeth are erupting at the wrong angle, they could exert pressure against your other teeth, causing misalignment or malocclusion. They could even cause structural damage to adjacent teeth, eventually creating cavities and significant pain. They have developed cysts: Cysts are sacs that are filled with fluid that can be extremely painful. These cysts will require draining and can damage the gums and jaw, including serious nerve damage. They increase the risk of gum disease: There is little room for these extra molars to erupt. When they do erupt, it becomes far more difficult to keep the gums around the wisdom teeth clean and free from bacteria, making gum disease far more likely. In its more severe stage, periodontitis, gum disease can lead to tooth loss and jawbone deterioration. They more easily develop cavities: It’s hard to reach your wisdom teeth with a toothbrush and floss. As a result, the wisdom teeth are more susceptible to cavities than any other teeth in the mouth. They are impacted: In many cases, wisdom teeth don’t have sufficient room to erupt fully, or even at all. 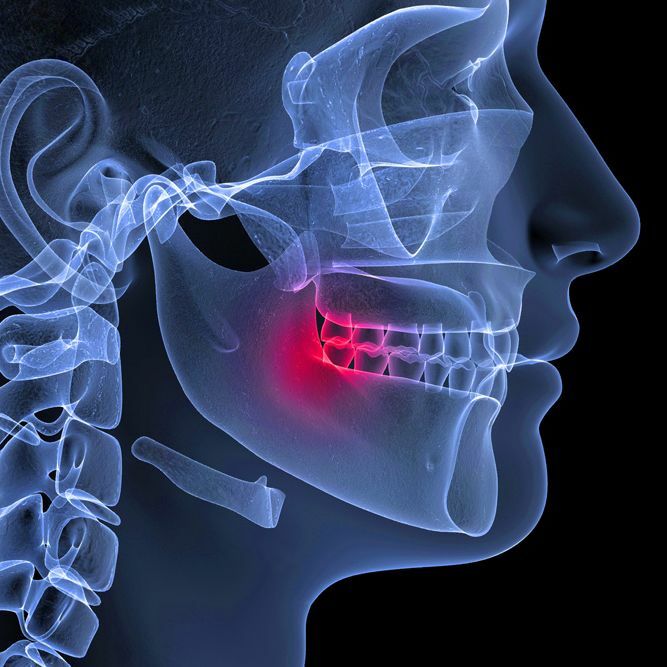 They become trapped in the jawbone or erupt only partially through the gums, leading to pain and possible inflammation. They can reverse the results of orthodontics: If you underwent months or even years of orthodontic treatment, whether with conventional braces or Invisalign®, the last thing you want to do is have your results undone by your wisdom teeth. Wisdom teeth can cause the teeth to become crooked or otherwise misaligned once again. They could also disrupt other restorative work, including dental crowns, dental bridges, and tooth-colored fillings. If you would like to learn more about surgical wisdom teeth removal, or you want to schedule your initial consultation with Dr. Bird or Dr. Johnson, please contact our oral surgery practice today.